I’ve gotten into several different conversations lately, at conventions and online, about blogging. Specifically, is this something writers should do, and why? The answer I hear most often is OMG YOU HAVE TO BLOG AND DO THE TWITTER AND FACEBOOK AND GOOGLE+ OR ELSE YOU’LL NEVER SELL ANY BOOKS! I think that blogging can sometimes be an effective way of getting your name out there and selling books, but I don’t think it’s a requirement, and I don’t think promotion is the only consideration, or even the primary one. I will mention my work from time to time, and yes, sometimes it is blatantly promotional: “My book just came out. Yay!” I try not to do that very often. Other times I’m just talking about the process: “I just started draft four of Libriomancer, and I’m freaking out!” The latter isn’t intended as promotion, but it does result in readers knowing about my next project, which is nice. Money: I’ve also heard that one way or another, it’s important to monetize your blogging. As a writer, I do think it’s important to get paid for our work. I have friends who do freelance, paid blogging, which is excellent. Others use ads to generate a little extra income from their blog. I don’t personally mind that as long as it’s not too intrusive. I’ve chosen not to insert ads or look for paid blogging opportunities, but that’s me. The benefits I get from blogging aren’t financial (see below). As for the ads … well, I’ve got links to my books and such in the sidebar. I figure that’s enough. Connecting with Writers: This is why I started blogging more than ten years ago. I wanted to connect with and learn from writers who knew what the heck they were doing. I found those people online. I read their journals, commented in their posts, and eventually got to know some of them. I joined a webring, for those of you who remember what a webring is. I participated in novel dares, trying to write an entire 80,000 word novel in a month, and joining my fellow participants in sharing progress and setbacks online. In some ways, the blogosphere and a few message boards were my graduate program in writing. It’s where I learned the business. It’s where I found inspiration. It’s where I chatted with coworkers around the virtual water cooler. Connecting with Fans: This was not one of my original reasons for starting a blog, in part because back then, I didn’t have any fans. But over time, it’s become a way for me to connect with some of the people who enjoy my books and stories, and that’s awesome. It’s also a way to connect with fandom in general. A lot of the people who read my blog have never read one of my books. (So much for that Promotion thing…) But we have great conversations about Doctor Who or Star Trek or gaming or the latest book by Huff or Jemisin or Grant or whoever, and I love that. Politics: This is a tough one. I’ve been told that a writer should never blog about their politics, because they risk alienating readers. It’s a valid point. Heck, I lost some readers myself earlier this week. On the other hand, I’ve seen people post thoughtful, well-written political posts that attract new readers to their blog, and by extension, perhaps to their books as well. I’m not writing a political blog, and I don’t really feel qualified to do so. However, I will write about things I feel strongly about, and sometimes those overlap with the political. I do this not to sell books, but because I think these things are important to talk about. What I’d say is that if you choose to go there, know that you will upset some people, and be prepared for some backlash. These posts can be emotionally draining, and eat up more time and energy. Entertainment: Sometimes I just want to make people smile and laugh, dammit! Wrap-up: I could go on, but this is getting long. I don’t think writers have to blog. I think it can help you somewhat, but it’s not a magic bullet that will make or break your career. And if the only reason you do it is to sell books, I suspect you’re going to invest a lot of time and energy that probably would have been better spent writing more books. 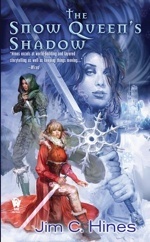 Jim C. Hines’ latest book is The Snow Queen’s Shadow, the fourth of his fantasy adventures that retell the old fairy tales with a Charlie’s Angels twist. 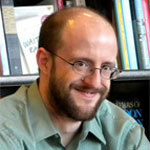 He’s also the author of the humorous Goblin Quest trilogy. His short fiction has appeared in more than 40 magazines and anthologies. Online, he can be found at http://www.jimchines.com.